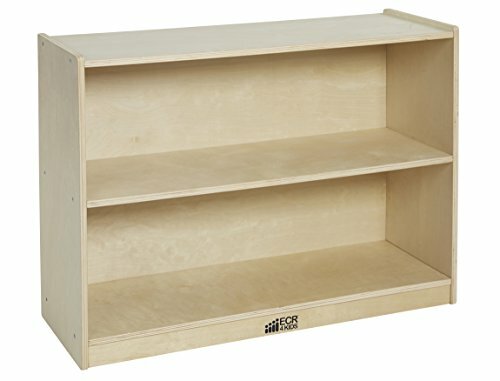 Birch hardwood shelving unit from ECR4Kids makes it easy to organize your classroom or child's room. Sturdy, 12 inch deep compartments are perfect for books, toys, games, and more! This cabinet comes with your choice of a back for use against a wall or without to see contents from both sides. Casters included for mobility. Overall measures: 26" H x 36" W x 13" D, 27 lbs.